games in the bubbles, including Bulldog, Sumo, Volleyball and more. It's live action Archery with similar rules to dodgeball and the same adrenaline rush as paintball. It can be played indoors or outdoors on almost any surface! The game is a fast paced fun pack action that is suitable for ages 14+ of all fitness levels. Archery Warz is the perfect stand alone event or add it on to your existing Bubble Soccer 2U event, corporate activity or party! We can accommodate groups of 20+ and take bookings 7 days a week. New to Bubble Soccer2u, Soccer Darts took Social Media by storm and we are proud to be the first in Australian provider to offer Soccer Darts. At 7m tall and over 5 metres wide it stands impressively and ready for you to challenge your friends, team mates or colleagues. Soccer Darts can be setup indoors or outdoors and can cater for all ages. To book contact us or submit an enquiry below. We carry all the latest Nerf and other foam blasters for you to experience and multiple different types of darts. We bring all the equipment and setup an infltable battlefield for heaps of fun game modes. Everyone is provided with a pair of safety glasses for eye protection. We also hire out interactive inflatable attractions like the ones above for small and large events. Our inflatables are on the larger and more interactive scale and are appropriate fora variety of ages. 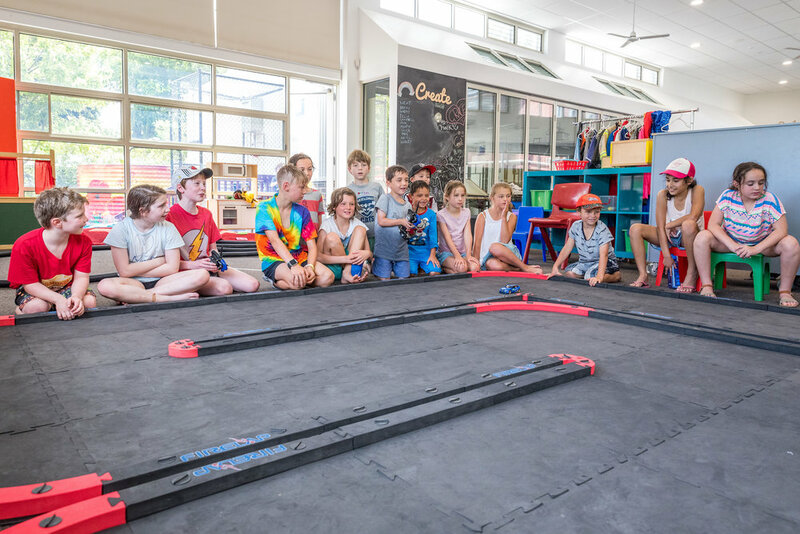 Drift, manoeuvre and pass around the fully customisable 24 square metre race track. The best 1:27-scale electric radio-controlled cars on the market. It'a an engaging and challenging activity for ages 10+. Training and skill challenges, races, battles and lots of fun game modes. Enjoy non-gun laser tag fun with our revolutionary Hero Blast set. Battle it out with lots of fun game modes on an inflatable battlefield. Why not try Spikeball at your next event? A new sport played by two teams of two players. It grew throughout College campuses in the USA before appearing on Shark Tank. It's a combination of volleyball, four square, hackie sack and totem tennis.